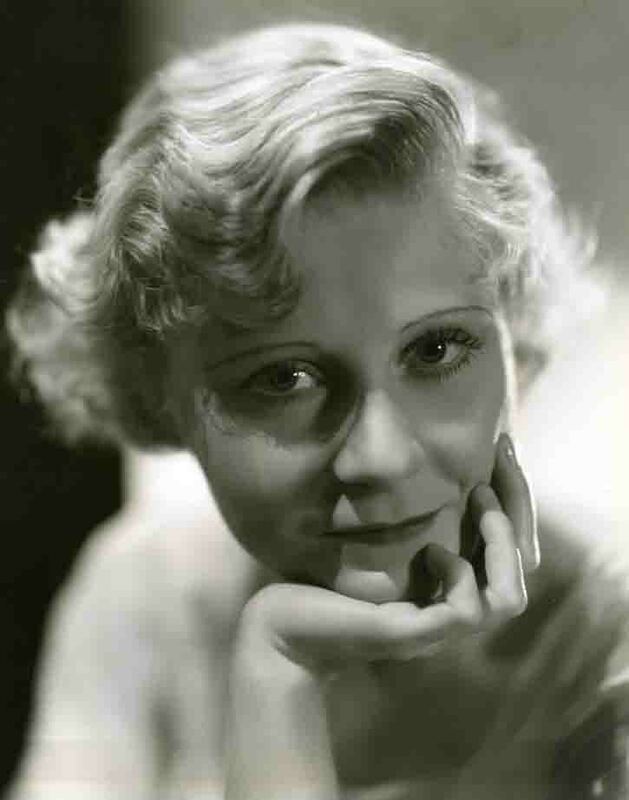 hollywoodphotographs.com is the largest collection of photos and images of Hollywood. There are more than 90 categories of photos from which to view. There are over 9000 vintage, old, and historic photographs of Hollywood. All photos in the collection are available for purchase. Hollywood Boulevard was originally named Prospect Avenue from 1887 to 1910, when the town of Hollywood was annexed to the city of Los Angeles. 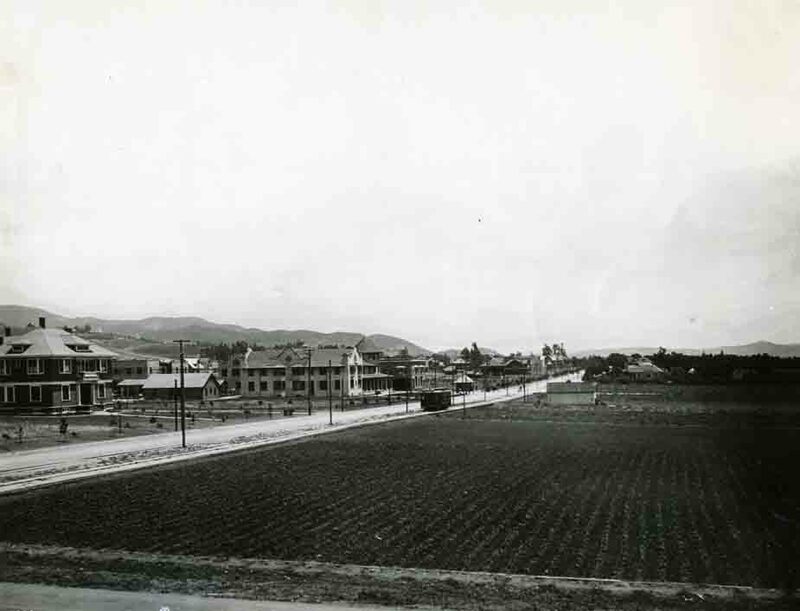 Until the motion picture industry settled in Hollywood, in 1910, Hollywood was a small community consisting of small farms ranches and residences. 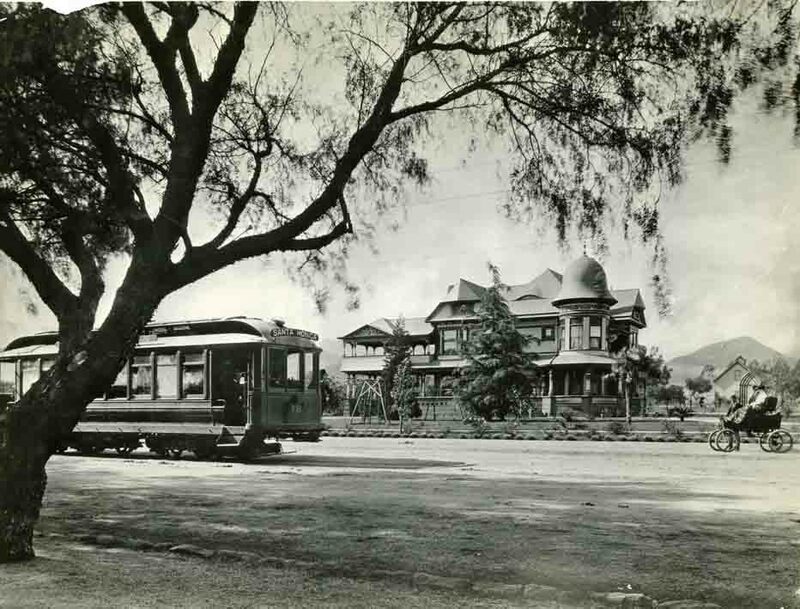 In fact, Hollywood Boulevard was almost exclusively residential. After the film industry settled in Hollywood, Hollywood Boulevard began a gradual change from residential to commercial buildings. 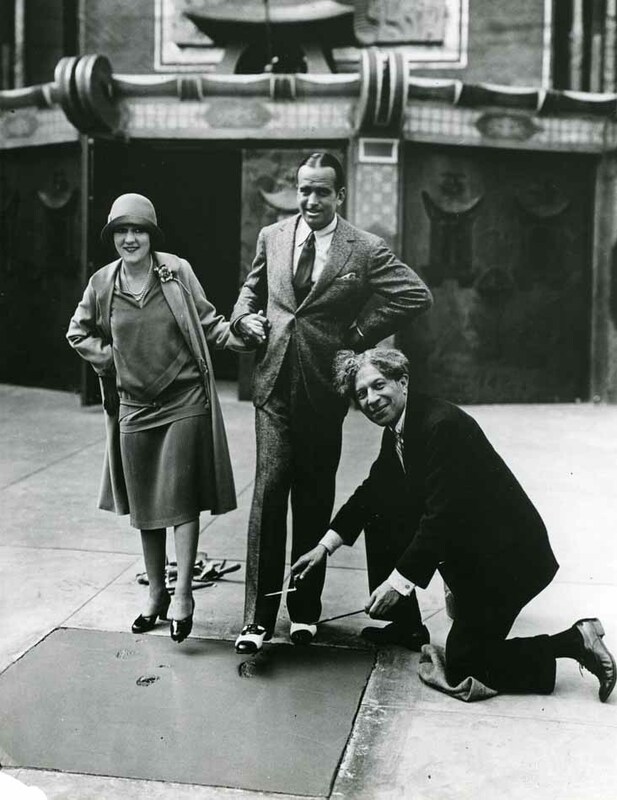 By the 1920s, Hollywood Boulevard was one of the most fashionable and popular streets in America. 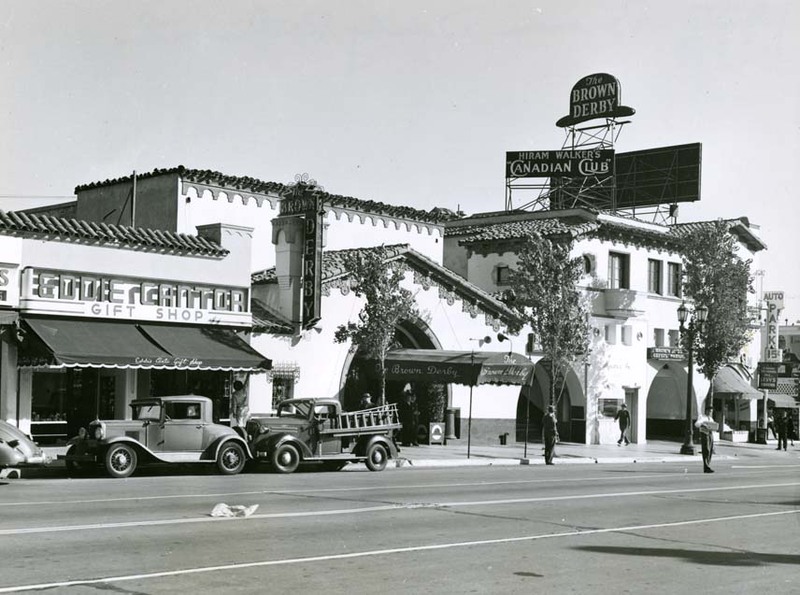 Hollywood Boulevard had wonderful restaurants, elegant shops, theaters, hotels and nightclubs. 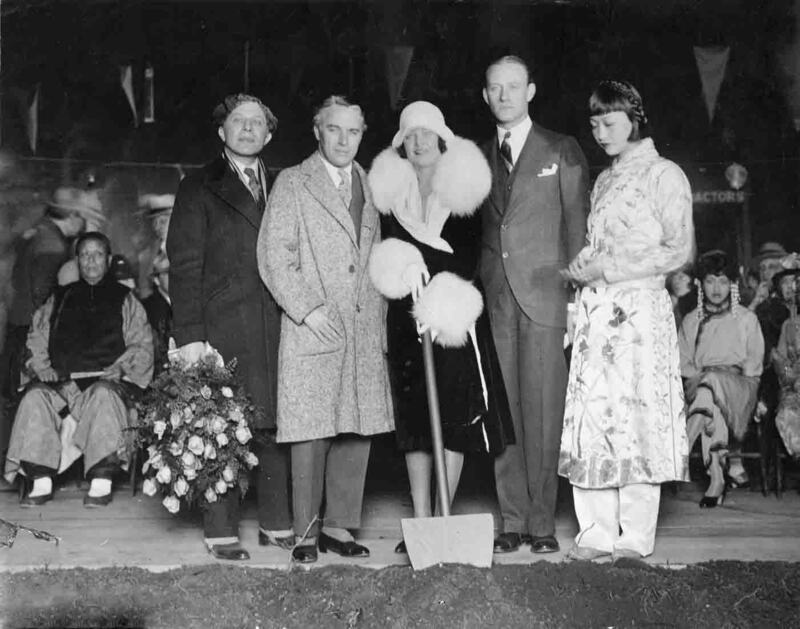 In January 1926, the groundbreaking ceremony for Grauman's Chinese Theater was held. Thirteen months later, the theater held its grand opening. (L-R) Sid Grauman, Charles Chaplin, Norma Talmadge, Conrad Nagel & Anna Mae Wong. 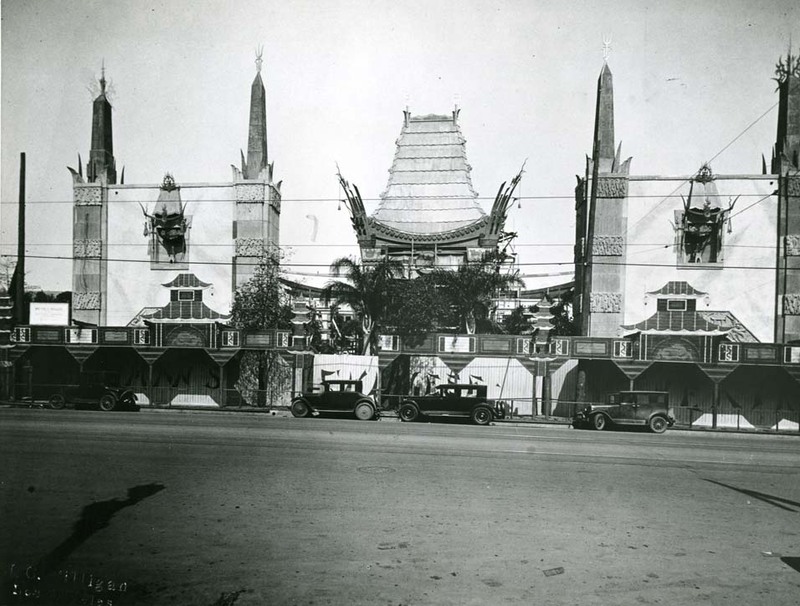 February 1927, Grauman's Chinese Theater was nearing construction as seen in this photo. Today, the theater is the number one tourist attraction in Hollywood. Without question, Hollywood's most famous restaurant was the Brown Derby, on Vine St, just south of Hollywood Blvd. . Actually there were four Brown Derby locations during the restaurants illustrious history. Wilshire Blvd. and Hollywood Brown Derby. 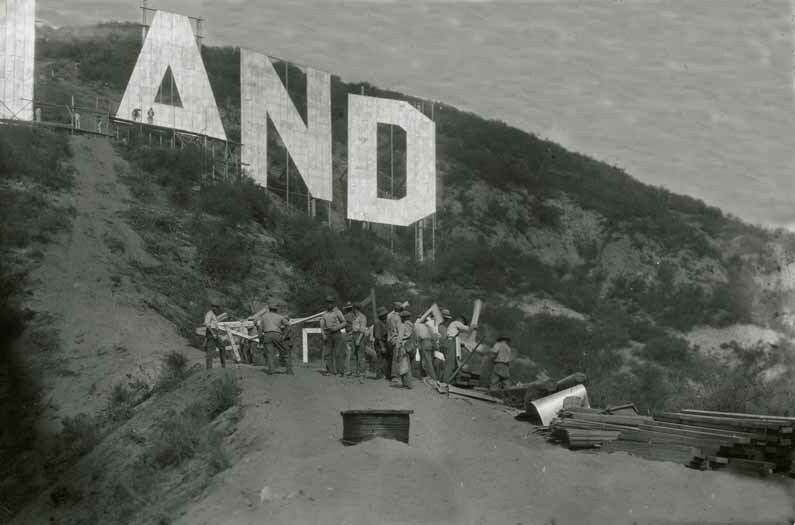 1923 Construction of the Hollywoodland sign. Men carrying light bars up to be installed on the sign. 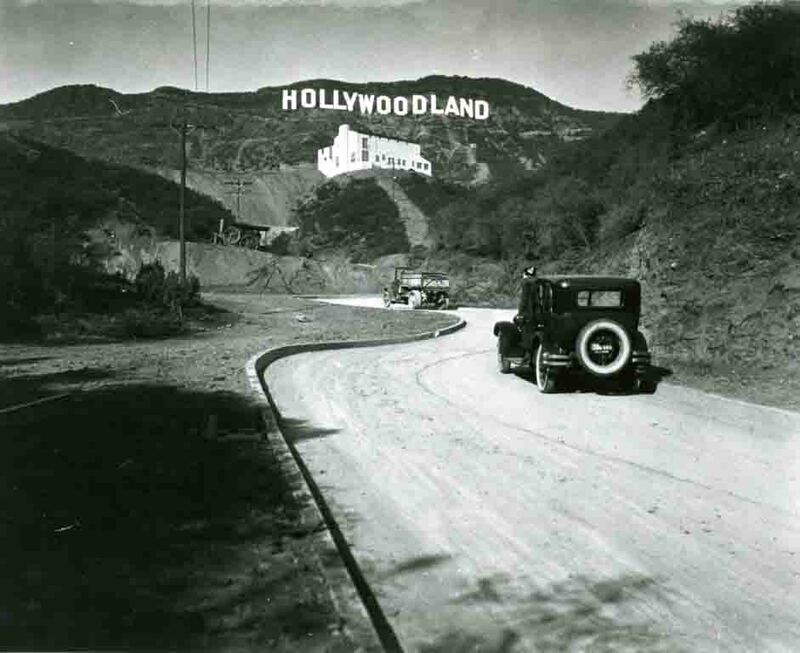 1925 A car driving in the Hollywoodland residental tract, just below the Hollywoodland sign.